ï»¿ GM bat grading, 303, 404, 606, 707, 808 etc - where do the players bats sit? Custom Bats Cricket Forum » Companies » Off-the-shelf companies » Gunn & Moore » GM bat grading, 303, 404, 606, 707, 808 etc - where do the players bats sit? GM bat grading, 303, 404, 606, 707, 808 etc - where do the players bats sit? Thinking of buying a new GM diamond and wanted to know where in the range the player's/best bang for the buck, bats sit? In other words, not interested at this point in the presidential hair/26 straight grains of mid life crisis sexiness, just where in the range offers the best performance? 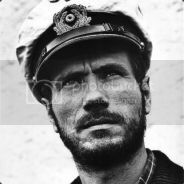 Ping? Handle? Obviously I would like to get the best performing bat at the cheapest price, so where in the range is worth starting for performance? Asking your venerable knowledge as may end up buying unseen on the net. Re: GM bat grading, 303, 404, 606, 707, 808 etc - where do the players bats sit? Are you able to get to a shop? If you are great. Choose your own. If not pick a supplier you trust and speak to them and get them to recommend based on your budget. I would expect them to guide you not necessarily to the most expensive ine, but to the best performing one. Players Editions top all of that and I believe there is a "Players" grade for a few select retailers which is around a Signature level, maybe a touch higher but around that (eg https://www.cricket-hockey.com/gm-noir-players-cricket-bat-2019). Handles and pressing is apparently the same across all bats but there is a bit of conflicting info on that. At the end of the day having had a ton of GM's I don't think the grade does affect the handle or pressing. The Signature is great value and the "in" thing here on the forum. 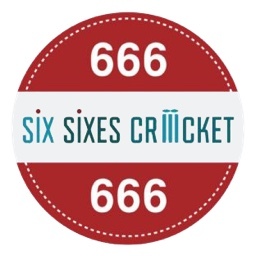 Check out the ones @Six Sixes Cricket had for example. Handles are the same quality. All adult bats are pressed the same, on two machines. Junior/Harrow bats are all pressed the same, on two machines. i have always wondered about their handles, the liste them as being different in catalogues. I thought that too but on the tour there was a room full of handles and there didn't appear to be any separation of quality. We were also told handles are the same. Is the only difference 'grade' of willow ie appearance? I appreciate that a beautiful bat can be a plank and vice versa but it does suggest that you might be better off rolling the dice on some english willow 404/606 and buying another if its naff rather than buying a 808/909 for hundreds and running the same risk. No? That has always been the case, and is with every supplier. Mr Lowry, GM main man, said that they grade on assessment of performance - later adding that this takes into account appearance. I shall try not to post on this thread again. Wasn't it the case with the pressing that 808 clefts upwards are processed separately? How different the pressing then may be, I don't know. Only on Sundays in November. Boy do those ones fly! My Diamond 909 is awesome, for what it is worth. I think the 808 is the sweetspot though! Failing that, just get a Signature. Bargain bats, really well-priced in today's market! Page created in 0.779 seconds with 45 queries.